Rush Limbaugh shared an electoral map of Texas to show all of us what we as a country, are up against. Areas that are in blue, specifically along the Mexico border, illuminates the necessity of serious border control. But if you look at Texas the way we’re describing here, every county — I don’t think there’s a single exception — every county of Texas, starting with El Paso that comes down and borders Mexico, is Democrat. Now, how many there in that area are here via illegal immigration and otherwise? So it is a challenge, I mean, going forward. How long can this keep up? What’s the demographic distribution of where these people are, how young are the people in the metro areas versus in the suburban and rural? But here I must sadly, unfortunately stop because of the programming format time. 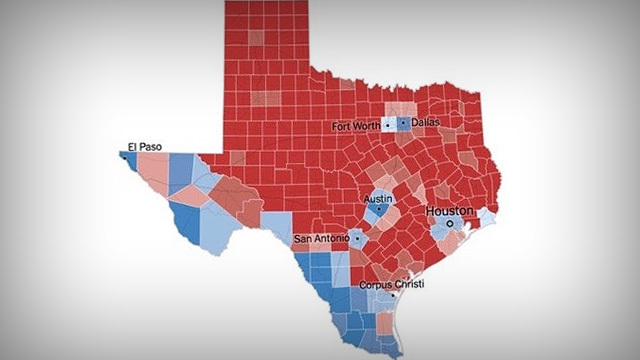 No Comments on "Texas Electoral Map Shows Us What We’re Up Against"